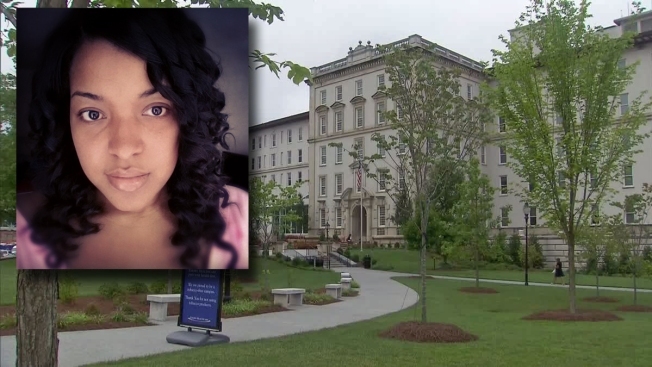 The second Dallas nurse diagnosed with Ebola is in stable condition at Emory University Hospital in Atlanta, and her family is "overwhelmed with support" as she battles the virus, they said in a statement Thursday evening. Amber Vinson, 29, was transferred Wednesday from Texas to the specialized hospital isolation unit in Atlanta that has already treated three Americans with the virus. Vinson was one of the nurses who cared for Thomas Eric Duncan, who died at the Dallas hospital last week of the Ebola virus. Another of Duncan's nurses who was infected, Nina Pham, was being transferred Thursday night to the National Institutes of Health in Maryland after being treated in Texas. "Our family has been overwhelmed with support and love for Amber and our extended family over the last 72 hours, and we thank you for those prayers and well wishes," Vinson's family said. Amber Vinson, the second nurse diagnosed with Ebola at Texas Health Presbyterian Hospital Dallas, is receiving care in a specialized unit at Emory University Hospital in Atlanta. "Amber is a respected professional and has always had a strong passion for nursing. She followed all of the protocols necessary when treated a patient in Dallas, and right now, she's trusting in her doctors and nurses as she is now the patient," the family continued in its statement. Meanwhile, an American doctor undergoing treatment for Ebola said he had been critically ill but is now recovering and expects to be discharged soon from Emory University Hospital. That unidentified patient -- a doctor working for the World Health Organization at an Ebola treatment center in Sierra Leone -- arrived at the hospital on Sept. 9. He said in a statement released by Emory that his condition worsened soon after he arrived but he is now much better. The doctor is one of three American aid workers brought to Emory from West Africa; the other two recovered. Emory and three other U.S. hospitals have specialized isolation units to care for Ebola with less risk of spread to health care workers. The WHO doctor had asked Emory to release the news about his improved condition following reports of the two recently infected Texas nurses. But he did not give his name, and hospital officials have refused to identify him, citing the wishes of the patient and his family. 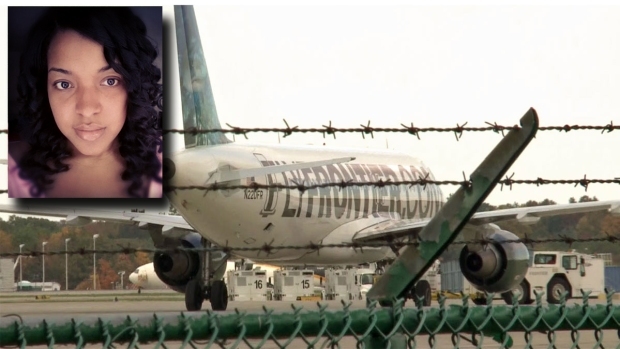 The CDC and Frontier Airlines are expanding the number of passengers it needs to get in touch with after nurse Amber Vinson was diagnosed with Ebola virus a day after flying. Vinson lived in Akron, Ohio, and went to Kent State University, where she received degrees in 2006 and 2008, the university said. She was licensed as a registered nurse in Ohio on February 2, 2009, and remains licensed there, records show, though she has since moved to Dallas. She became an R.N. in Texas on August 22, 2012. Vinson lived in an unpretentious rental in The Village, a sprawling series of apartment buildings popular with young professionals and other Dallas newcomers. It's been the home to countless other workers at Texas Health Presbyterian Hospital, which is just 2 miles away, including other people on the team that cared for Thomas Eric Duncan, the Ebola patient who died Oct. 8. Medical records provided to The Associated Press by Duncan's family show Vinson inserted catheters, drew blood and dealt with the patient's body fluids. But little else has emerged about the nurse -- no obvious profiles on Facebook or LinkedIn, no flood of pictures documenting her life. Emilia Sykes, who attended high school and Kent State with Vinson, said the two had lost touch, but that Vinson had always been interested in health care. "When I knew her, we lived on the same end of the dorm together our freshman year. She was working through the nursing program and always knew she'd be a nurse," said Sykes, of Akron, Ohio who is seeking to replace her term-limited father in the state Legislature.